After leaving Grad School the world seemed like my oyster. I was so excited to be working on Suor Angelica with Metro West Opera AND I had the opportunity to add to my singing in the show. I would now be in the ensemble as well as Lay Sister #1. It was my first time in years (and my first opera) where I had a solo and I could not have been more excited. It was around this time I started preparing to move home to Philadelphia. 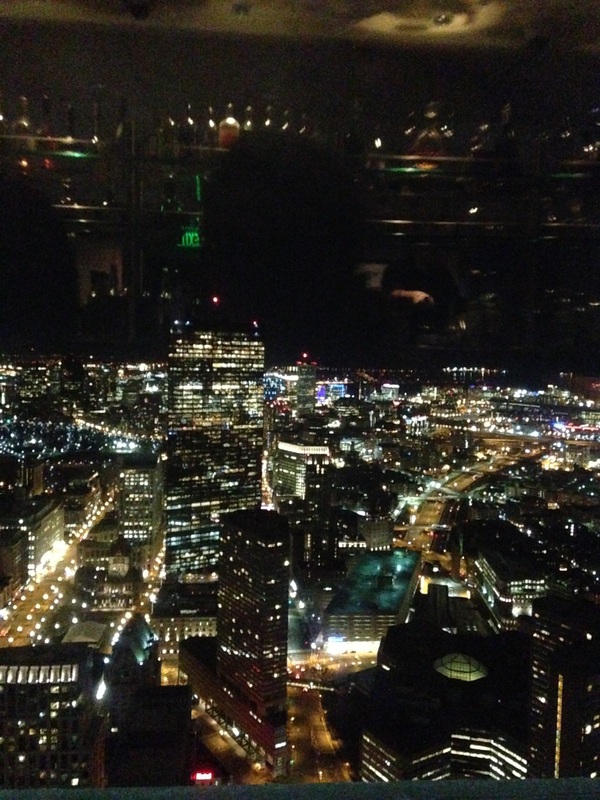 I hadn't fully planned to stay in Boston, but I was NOT prepared for what was to come. At least, I didn't feel ready. In preparation I set up three auditions for the week I cam home. Two choirs and a church job. My first audition, for a choir that is looking to replace The Philly Singers, was definitely something I was proud of. I sang Gretchen am Spinnrade (Schubert) and sight read. I was really encouraged by the fact that the pianist from the audition suggested I apply for a teaching position at the school where the auditions took place. But, in the true form of the unknown, that opportunity seemed to have been put on hold and I marched forward to the next. The audition after that was for a professional Choral association in Philly. I was very excited to sing for the director. I sang With darkness deep as is my woe (Handel) and did some sight reading. I was very lucky to have fallen upon the honesty and good graces of the director. I had my first truly positive reinforcement of the season. I sang well and I sang the music appropriately, there are just no positions open. I have been talking to many friends who are currently working professionally and - while it is frustrating - it takes a good amount of time to establish yourself on the professional music scene. Philly on a rainy night - definitely looks like the Joker is about to attack! When I came home, the first thing I wanted to do was find a church job. It has always been a reasonable way to make money for food and rent. It takes all of the skills you learn during school and puts them to work! There are so many people looking for these jobs that I'm excited when I get any auditions. I mean... It took me six months to find a church job in Boston. I suppose I was being a teensy bit excitable. But, within a month of coming home I was taking two auditions for church positions. My first audition, in Bryn Mawr, was for a budding program. Even though I am a soprano, I tend to audition for alto positions when it comes to choirs and this was no exception. I sang my Handel piece again. I then did some sight reading and some short term learned reading (I had ten minutes or so to solidify a piece of music). I felt so good about this audition. The director was impressed with my musicianship, my pitch, AND he knew some of the people on my resume. Unfortunately, it turned out that position was not for me. But hey - on to the next one. Right? The next church audition I had was for a prominent church in Philadelphia who had recently undergone a personnel change. This audition was very interesting. It seemed much more formal to me and one of the clergy was in the audition (I found that to be VERY unusual). For some reason I brought a COMPLETELY different piece to audition with (I'm still not sure why I did. But, it's too late to worry about it). I sang Deh vieni, non tardar (Mozart). The new music director had also sent out a Messaien piece for us to learn within a weeks time. I have noticed that a lot of places do this to see how your learning capabilities are. I was so happy. It felt like I nailed the Aria... Nailed the excerpt... And then.... There was sight reading. Now, normally I feel very strongly about my sight reading abilities. For hose of you who don't know, sight reading is looking at a piece of music (that you have never seen before - at least that's the idea) and singing the part they ask you to. Well... I just completely lost it. I didn't look at the key signature or the time signature and I just tried to start singing. May I just tell you.... That is NEVER something I suggest. Anyway, that was not a position I ended up getting. Looking back on that whole experience I was definitely more nervous than I realized. But, with all of that said, I do believe I was singing at the highest level I was capable of at the time and that's okay with me.